Our church library has over 5,000 books, videos, and DVD's which are available to be borrowed. There are books for pre-schoolers, children, youth, and adults. Subjects include: Spiritual Life, Prayer, Emotions, Grief, Parenting, Fiction. 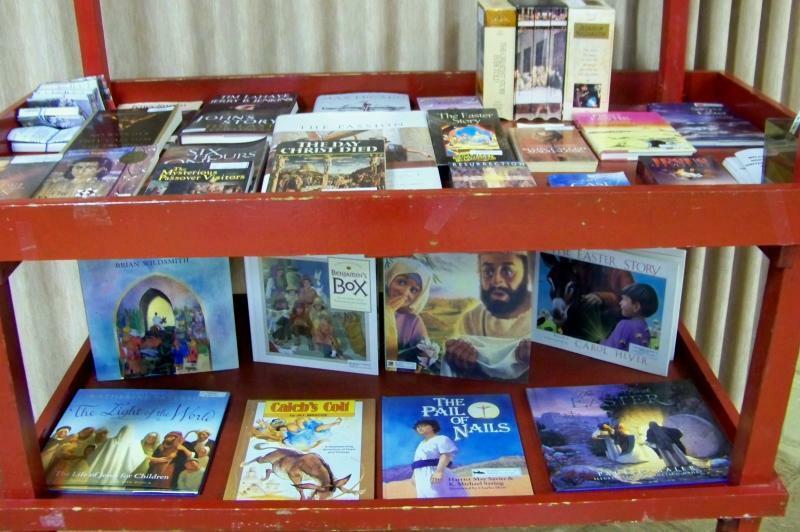 There are books for Easter, Thanksgiving, Christmas, and other church seasons. A church library computer is available to use in searching for books. Books may be borrowed for 1 week or longer, as needed.